You are here: Home / Abundance / What Does Your Ideal Lifestyle Look Like? What Does Your Ideal Lifestyle Look Like? Passion. Joy. Boundless Creativity. Financial freedom. A spouse, wife, kids and a house of your own? Is this what your life looks like? Many artists get by merely scraping out an existence that carries them day to day. Bills pile up. Art supplies are hard to come by. You need new headshots but can’t afford them. It’s okay. There’s a way out of the situation. Luckily for most of us, artists are a creative bunch. Do yourself a favor and sit down, right now, and imagine what your ideal lifestyle would be like. What would you do when you wake up in the morning? How would your day go? Who would you spend time with? What would your bank account look like? Go on. Spend some time imagining. You’re still here? Do you need reasons to spend time imagining? Fine. 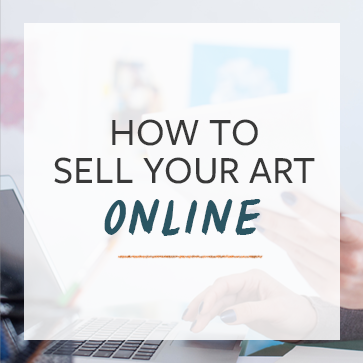 If you’re reading this blog you are probably on a quest to make a living as an artist. The problem is, you don’t even know what that means. What does ‘make a living’ actually mean? You’ve probably heard about all of those things that you have to do to raise your profile. Work on your art every day. Network with everyone. Invest in training. Move somewhere. If you know, why haven’t you done it? So, now. Go on, go spend some time imagining. Then come back and share in the comments what your life would be like as an artist. I’m already living a live that far exceeds my dreams. Sure it could fall apart – because nothing is sure forever, but I’m happily writing an art instructional column for Watercolor Magazine, painting for invitational shows and my own sales, and write blogs for artist interests for pay. It’s taken me 15 years to get to this point – but I could’ve gotten here a lot faster if I were to take into account my personal strengths and capitalize on them rather than chasing someone else’s dream. Sometimes we just don’t know what our Ideal is until we’re old enough to accept it. I used to spend way too much time trying to paint full time and supply galleries, but when I realized that I am far too social to spent 40+hours alone in the studio, I began writing for art forums and publications. Now I paint about 10 paintings a year and write the rest of the time, and I’m finally content. I just read my comment, and wow – a lot of typos in there. Please ignore them. Time to take a break from this computer screen and do something else. Lori, I know that you wrote this reply almost 10 years ago but it is so relevant to where I am today in my life. I so agree that we just know get or know things until we get older (hence why we are such a great source for the younger generation!). This is where I strive to be. I have spent years trying to create art that I thought would sell or that other people wanted. I have finally realized that I just need to create what I want and let it go from there. I would love to hear where you are now in your journey. My ideal life has 2 things in it that I currently don’t have; otherwise everything that I’m doing right now is on par with what makes me happy and fulfilled. My day looks like getting up at about 10 am, meditating, eating a fully cooked breakfast, doing 1-2 massages for spending money a day, talking to my best friend Brandon, home cooked lunch, an afternoon walk, reading and doing homework or drawing, home cooked dinner and then a music lesson or practicing piano / singing and more studying or art work. Bed by 10pm. The 1st thing I’d like to increase is the mindset that believes that I’m in charge of the marks that I receive at school and the mindset that I am able to find a husband that suits me. The second mindset that Id like to change is that I will steadily improve as both a musician and artist and to be comfortable being paid for both my voice and my drawing ability.